The theme for our 4th Annual Conference is "Agency, Solidarity, Healing." We'll have sessions that address reclaiming power through story, self, language and learning (Agency), how participants can build meaningful connections across lines of difference (Solidarity), and the importance of individual and collective healing for the sake of wholeness, liberation, justice, and equity (Healing). Conference registration is now open for teachers, teacher assistants, school counselors, school social workers, school nurses, school library media and technology specialists, assistant principals, principals, district employees, school board members, other school workers, middle/high school students, and college/grad students in education. 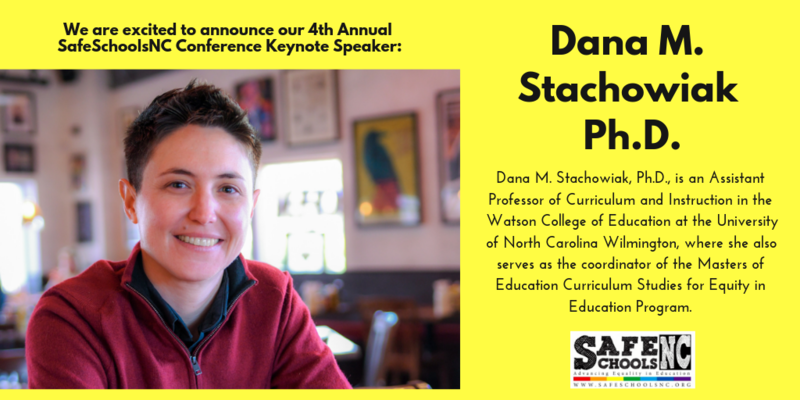 Whether you are brand new to understanding LGBTQ+ issues or are already an LGBTQ-affirming school leader, the 2018 SSNC Conference will bring you opportunities to improve your practice and connect with like-minded educators. Need a scholarship? If the amount of the conference registration fee inhibits your ability to participate, please submit a request for a scholarship using this form. Scholarship applications are due by October 14th and applicants will be notified of their status by October 20th. Apply early! Due to limited funds, scholarship approval is not guaranteed. Coffee, lunch, and a SSNC "Safe Space" sticker are included in the conference fee. Register to attend today! 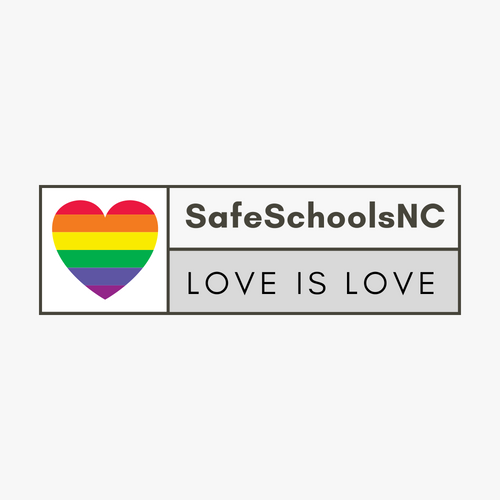 The 4th Annual Safe Schools NC LGBTQ+ Conference for Teachers and Support Staff will raise participants' awareness of the unique needs of LGBTQ+ students, families, and school employees and provide participants with the knowledge, skills, and connections to address those needs. Teachers, school administrators, counselors, psychologists, social workers, teacher assistants, district leaders, school board members, undergraduate and graduate students, and high school students are welcomed to attend. Check out the sessions from past conferences to see the options available to attendees. Conference sessions are geared toward K-12 school workers and leaders. and structural change is possible!" "I was able to take away so many easy to implement changes in my instruction that I can't wait to share with my staff!" "All the presenters were highly knowledgeable and engaging. I felt the whole day was well worth my time."